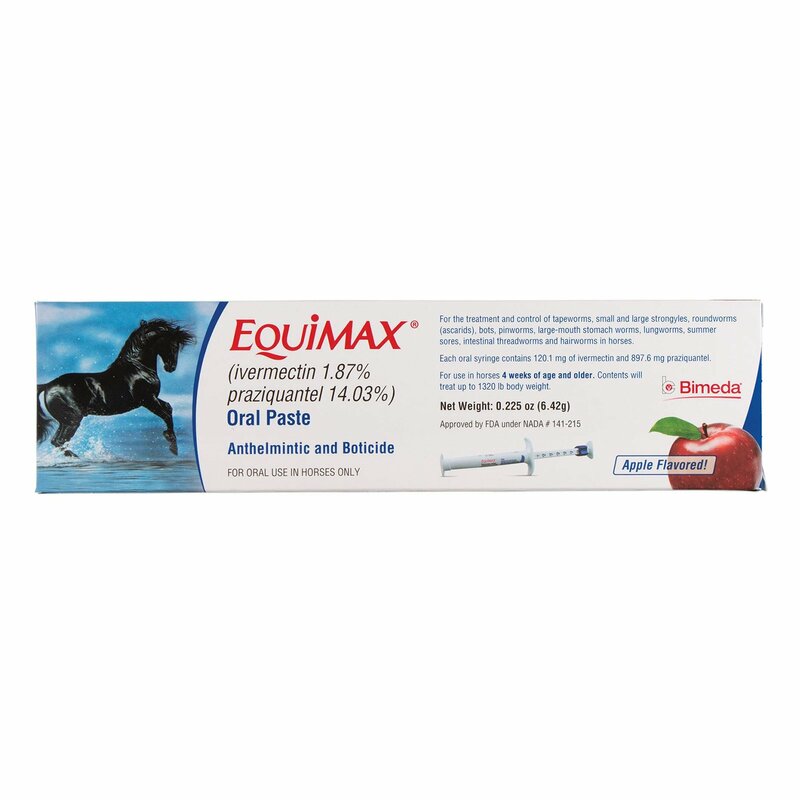 Eqvalan Duo Horse Wormer Paste is an oral paste that has been specifically formulated to treat mixed cestode and nematode or arthropod infestations in horses. 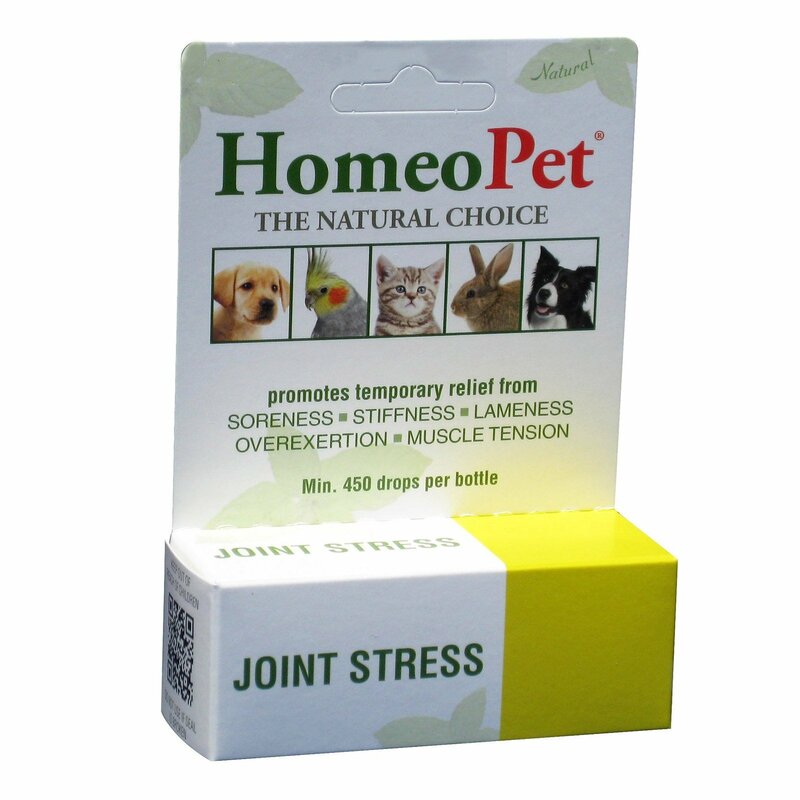 It treats and controls hairworms, pinworms, roundworms, intestinal threadworms, large-mouth stomach worms, lungworms, cutaneous onchocerchiasis, and large and small strongyles in horses. This treatment is safe to be administered in pregnant mares and young foals. It comes in a syringe form. This treatment should be given to foals initially at 6 to 8 weeks of age and then every 8 weeks till they are 18 months of age. The older horses need to be treated every 8 to 10 weeks. It is advisable to read the instructions before using the product. Equimax horse wormer is a multi-spectrum wormer, which highly effective for the treatment of nematodes, cestodes and arthropod infestation. 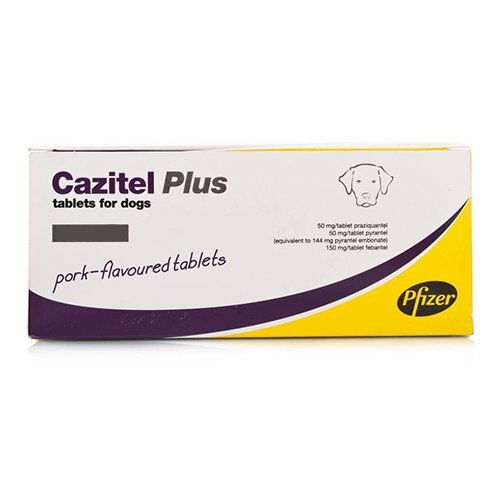 The tablet destroys various gastrointestinal worms including adult and immature roundworms, lungworms, bots and tapeworms in horses. Give the dose according to horse's weight. Safety studies were not conducted in foals younger than 2 months of age, nor in stallions, therefore EQVALAN DUO cannot be recommended for use in these categories of animals. The use of EQVALAN DUO may be dangerous to aquatic life. Horses should not have direct access to surface waters and ditches during treatment. EQVALAN DUO has been formulated for use in horses only. 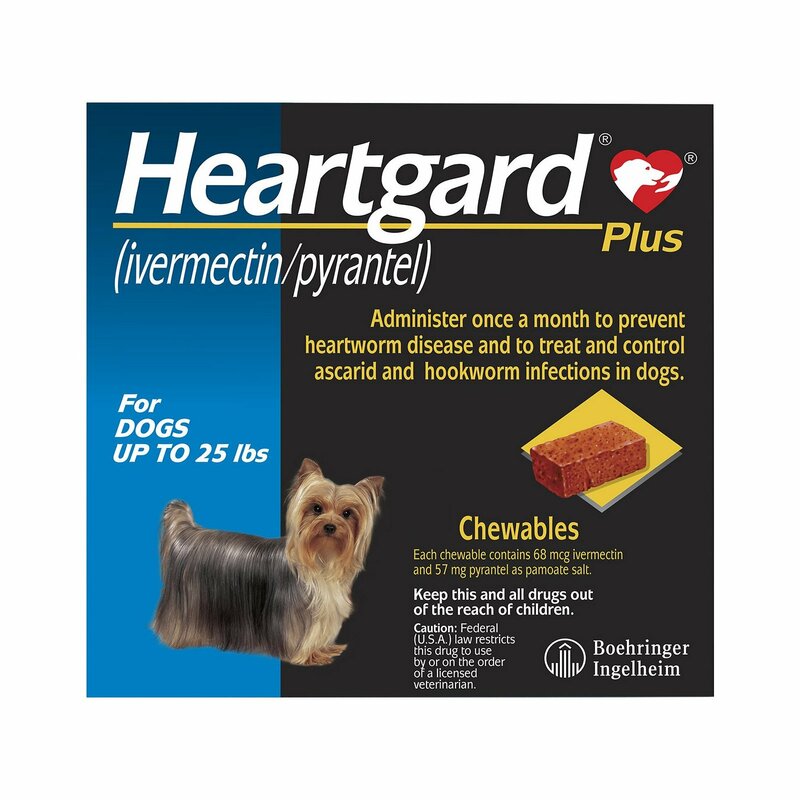 Cats, dogs, especially Collies, Old English Sheepdogs and related breeds or crosses, and also turtles and tortoises may be adversely affected by the concentration of ivermectin in this product if they are allowed to ingest spilled paste or have access to used syringes. Parasite resistance to any particular class of anthelmintic may develop following frequent, repeated use of an anthelmintic of that class. Some horses with heavy infections of Onchocerca spp. microfilariae have experienced oedema and pruritus following treatment, assumed to be the result of the death of large numbers of microfilariae. These signs resolve within a few days but symptomatic treatment may be advisable. 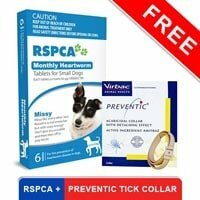 In cases of heavy infestations with tapeworms, signs of mild, transient colic and diarrhoea may be observed. There have been rare reports of swelling and irritation of the mouth, lip and tongue, and of salivation following administration of EQVALAN DUO. These reactions have been transitory in nature, appearing within 1 hour and abating within 24-48 hours following administration. No undesirable effects related to treatment were observed in 2 month old horses treated with EQVALAN DUO at up to three times the recommended dose and in adult horses treated at ten times the recommended dose. Transient decreased food consumption, increased body temperature and impairment of vision were noticed in horses treated twice with an ivermectin oral paste at ten times the recommended dose (i.e. 2 mg/kg b.w.). All changes disappeared within five days. No antidote has been identified; however, symptomatic therapy may be beneficial. User warnings Wash hands after use. Do not smoke, eat or drink while handling the product. For animal treatment only. This product may cause skin and eye irritation. Therefore, the user should avoid contact of the product with the skin and eyes. In case of contact, rinse immediately with plenty of water. In the case of accidental ingestion or eye irritation after contact seek medical advice immediately and show the package leaflet or the label to the physician. 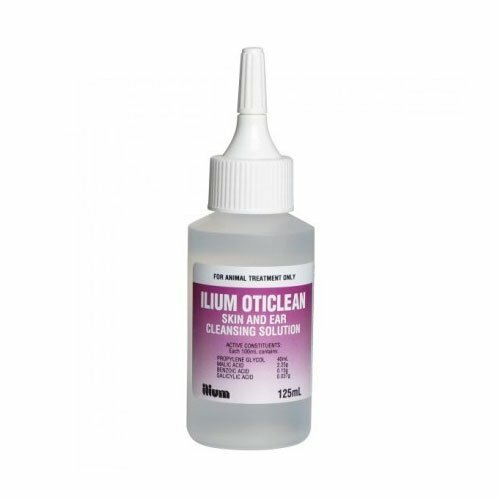 Use during pregnancy and lactation Ivermectin-praziquantel combination can be used after the first three months of gestation and during lactation. In the absence of clinical data in early pregnancy EQVALAN DUO can only be used in the first three months of gestation according to a risk benefit analysis by the veterinarian. Withdrawal periods Meat: 30 days. Do not use in mares producing milk for human consumption. Container disposal EXTREMELY DANGEROUS FOR FISH AND AQUATIC LIFE. Do not contaminate surface waters or ditches with product or used syringes. Dispose of any unused product and empty syringes in accordance with guidance from your local waste regulation authority. Replace the cap after use. Part used syringes can be kept for up to 2 years after first use but should be used by the expiry date printed on the packaging. 44 of 49 found this review helpful. After giving these tablets to my horses he actually felt fine. All the symptoms depicting the presence of worms in his body has vanished now. 0 of 25 found this review helpful.